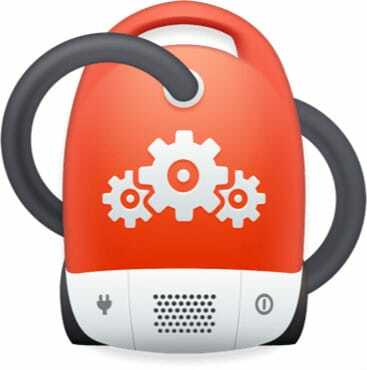 Clues to the causes of Mac startup problems can be found by analyzing when in the boot process the system fails. Problems may be related to the power supply, battery, hard drive, logic board, OS corruption or an issue with a user account. Macs are reliable machines, but like many of us they get cranky from time to time. Isolating where the problem is occurring is key to finding the solution. Unplug any external peripherals (disk drives, printer, etc.) to help narrow down the cause. CleanMyMac can fix common problems that make your Mac run slowly. Whether you want to reindex Spotlight, repair disk permissions, speed up Mail’s search function or perform other crucial tasks, CleanMyMac makes it easy to boost Mac performance. Does the system turn on? Failed power supplies are sometimes accompanied by a popping sound. That’s usually a capacitor which has given up the ghost and burst open. iMac G5 systems frequently suffer from bad power supplies. Supplies can fail fully or partially – they may give some power to the fans and such but still not work properly. Fortunately a power supply or AC adapter is relatively inexpensive to replace. If RAM isn’t the issue, check the Apple Knowledge Base for information. Unfortunately non-standard startup tones often require a trip to a Mac service center for further diagnosis. These tones are the “Check Engine” lights of the Macintosh world. Once the screen turns grey the hardware tests are complete, and the Mac looks for a boot volume. Software now dominates the startup process. The flashing question mark or a circle/slash means your Mac can’t find a valid startup disk. This can indicate a corrupt installation of Mac OS X or a failed (or failing) hard drive. A pass through the excellent DiskWarrior utility is highly recommended for any disk-related startup problems. You can also try Apple Disk Utility or another third-party utility like TechTool Pro or Drive Genius to try to repair the disk. If the drive is OK after repairs but the Mac still won’t boot, do an Archive & Install of Mac OS X to replace the operating system. When the Apple Logo appears your Mac has found a valid system disk, and Mac OS X begins loading. Once the spinning gear appears the BSD kernel (Darwin) has assumed command and begins loading device drivers. Shortly thereafter it transfers command to the almighty (and controversial) launchd process. Such are the workings of UNIX. What this means for us mortals is that when a Mac stalls at the Apple logo or the logo with a spinning gear, it probably has a corrupt Mac OS X installation. It may also be having trouble accessing an internal or external hardware component, but this is less-likely. Rebooting your Mac in Safe Mode can sometimes get things working well-enough that a second, normal reboot then works normally Hold down the Shift key at startup to boot in Safe Mode. DiskWarrior is also worth a shot (this is by far my most used disk utility). If that doesn’t work, an Archive & Install may be needed. After the Operating System has finished loading the loginwindow process manager takes over and deposits you at your desktop. A hang at a blue screen, at the login window, or at the image of your blank desktop often indicates a Problem with a User Account. Corrupt Fonts or bad Preference Files (.plist) are common culprits. “You need to restart your computer.” No ifs, ands, or buts. Presented in your native language, or something close. A kernel panic can happen at virtually any point in the boot process and may indicate a corrupt OS, an incompatible kernel extension, or a hardware problem. Try a Safe Boot to disable non-Apple extensions. If that doesn’t work try disconnecting peripherals, removing RAM, PCI cards, etc.. More good info about kernel panics can be found at The-X-Lab. 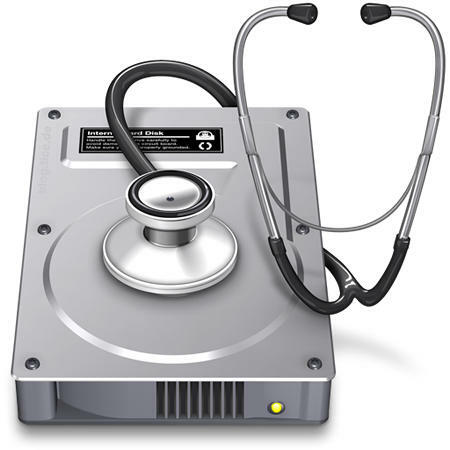 If your Mac has an optical drive (aka SuperDrive – most do) you can boot from an Apple software install CD or DVD – insert your disc, restart and hold down the C key. Once the installer begins you can run Disk Utility (from the Utilties menu) or perform an Archive & Install. Intel Macs can also boot from a USB flash drive which contains a bootable disk image, this can be very handy in an emergency. You can also use a clone of your Mac hard drive to boot a cantankerous system. This not only allows you to check, fix or copy data off the primary boot drive but continue working immediately when you have disk problems. For more details see How (and Why) to Clone Your Mac Hard Drive. I’m sure there are many other tips and suggestions on the topic of Mac startup problems; please let us know some of your ideas and experiences in the comments. Ian – glad the cheap fix worked! Kacey – sounds like you have a bad hard drive. That’s usually about a couple hundred dollars (US) to replace, parts and labor. To follow up, just heard from the repair shop. The cable is bad. Logic board is fine. Thanks for your guidance. Adam Rosen – Submitted on 2010/08/30 at 12:40 pm | In reply to Ian. Ian – I’ve seen similar problems with that SATA cable to the logic board on Apple laptops, so yes that’s a possibility. You also may have a hairline fracture on the logic board or loose connector on cable. Since you know the disk is good, worth replacing the HDD cable next (it’s cheap) and see if that works. Impeccable timing. I have a 14 mo old MBP 13″ (June 2009). No problems until Sunday morning. I’m running OS X 10.6 with all updates installed. I was able to log in and clicked on Mail icon. It froze. I did a force quit. Same thing happened when I launched Safari. I was in for about a minute and then it froze. Force quit wouldn’t work so I held down the power button. 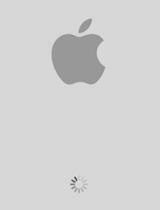 Trying to log back in, I couldn’t get past the Apple logo and spin gear. SATA WARNING: Enable auto-activate failed. I tried booting from the install DVD and no luck either. Apple “genius” said the HDD was bad. Upon mounting a new drive (WD 500G 5400 rpm), it couldn’t find that drive either. Took it to a third party repair store and he was able to mount my old drive externally and I was able to get in. He said either the cable from the HDD to the logic board was bad or the logic board was bad. Does this sound accurate? If the logic board truly was bad, would I be able to do anything whether the drive was mounted interal or externally? Thanks. The “Flashing Question Mark with Folder, or Circle/Slash” is what occurs when I attempt to turn my macbook on. It is a little over a year old and I do not have a valid warranty. This issue happened after I shut off the computer by holding the start button due to safari having a rainbow pinwheel for a few minutes. Why is this happening so randomly? What is actually wrong and how much do you think it will cost to fix? Jill – you’re likely looking at a hardware problem, possibly bad motherboard. I suggest you take the laptop to an Apple Service Center. any advice for today so she can at least try to do something … your advice and/or thoughts would be most appreciated! Karen – it sounds like your user account is corrupt. You can use the Get Info window in the Finder to give yourself access to your files from another admin account, or boot the iMac in Target Disk Mode and access from a second system. Please can you help me out. We have an iMac7,1 with Intel Core 2 Duo and System Version: Mac OS X 10.4.11 (8S2167). When I try to log in it goes to the page with Finder in the menu bar and then 2 or 3 seconds later goes straight back to the login page whether or not I click with the mouse or try using the keyboard. We tried changing the password but it makes no difference. My daughter is the administrator so we can log in as her and use the computer but I am unable to access the documents I have under my log in. Please can you advise how to correct this so I can log on or is there a way to access my documents through her account? I am not that computer literate but have tried searching through the Apple help menus to no avail. Perfect timing. 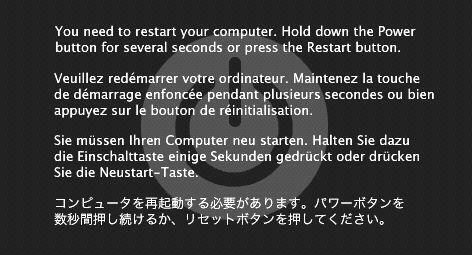 Mac repair guy said… oh you saw the kernel panic before the problem? I wasnt aware of what it was called. Now I find out tomorrow how serious the issue I have to pay for is. Tom – I’d bring the Mini to an Apple Service Center for evaluation. I tried to run off a USB drive without the Hard Drive or Super Drive attached. I still get a grey screen – no logo. Just wanted to share an experience I went through with my first gen 20″ iMac G5 last year. One day, it decided not to even give me the POST chime. I took it to the Apple ‘Genious” who promptly told me I needed a new logic board at a cost of $440. I said no thanks and went home. I have been an electronics tech for many years so I wasn’t going to let this go that easily. I built enough clone PC’s back in the day to see a shorted component load down the power supply and cause a seemingly unrelated component to appear dead. This time was no exception. I unplugged everything from the logic board except for the power supply and video connections and hit the power button. Sure enough, I got a chime. Began plugging things back in one at a time until I found the culprit. Turned out to be the hard drive temp sensor. A $24 part if ordered off the internet. No expensive logic board replacement, just a little temp sensor board. Don’t always trust the ‘Genius” at the local Apple store. They won’t dive in deep to fix an issue and would rather sell you a new computer (that was their suggested fix vs. logic board replacement). I sometimes think back and wonder what excuse they would have come up with after a new logic board did nothing to fix the problem. My PowerMac G4 MDD (2003) is eating internal batteries. After a week or two new battery is dead. Rather costly to replace battery 20-30 times a year. Otherwise this old wind tunnel is working perfectly. My OSX shows firmware password screen which i have no idea why it started coming up but i can bypass it sometimes by holding cmd-apple-o-f keys but the keyboard doesnt work.. ive considered it might be a power issue from what ive read online.. pls desperatly asking for help email me at: phoenixfix87@gmail.com tyvm! my Mac has started today having a rainbow circle going on the page I am trying to type and it wont let me do anything, I cant even save it. What is going on? My mac is getting weird… sometimes when i put it to sleep, it doesn’t wake up, and it’s hot. I have to turn it off, unplug it and let it cool down, if i don’t do this, it just stays at the blue screeen and does nothig… what is it? I have a Macbook Pro, It has had a new hard drive now, as the old one died, I also apparently have a new motherboard because there is a generic problem with my competer models boards so this was replaced free of charge. i got the computer back but I can see that it has been dropped because I now have a dent in it on the left side just by some flap type commection thta will not open. showing a world flashing. This is made worse If i have the internet connected. If i desonnect the internet I am able to resart my compter and it will eventually startup. I have so much work to do but I can not trust my machine. What s wrong with my computer? sorry to bring back this dead thread but my macbook wont start. i push the power key and the disk drive makes a sound like its starting and then nothing. the screen remains black and the power light fades in and out slowly like in sleep mode. any help much appreciated! Don’t laugh but I have an old machine from 90s running 8.6 that still does some useful stuff. I crashes now when ALMOST started up. That is: the march of extensions happens as normal but it can render the desktop at the next step. Norton finds the Desktop Folder is to blame: damaged resource fork, no fix offered. How can I resolve? If I start from a CD, all data is just there as normal. I don’t have original install disks for 8.5/6 now as lost in various house moves, and to buy it costs about as much as a new old mac ha ha. Sorry am on a budget and I use this machine for midi/sampling. Hi, I have a quick question and am hoping someone might me able to help?! I have a MacBook Pro (2009) and it is locked with a password. Twice now I have opened my computer (already powered on) and the password/login screen never popped up. Both times I turned the computer off and it flashed really bright and made a clinking noise. I turned it on later and it worked fine. Once the date/time reset alert popped up and I didn’t really know what to do about it so I didn’t do anything. Is there anyway to force the login/password screen to come up when I open my computer? If not, is there anyway to turn off the computer more safely? I’m having trouble figuring out what I should do to get our laptop running again. Is my only hope reinstalling the OS and losing all my data? Would upgrading to the latest OS help?